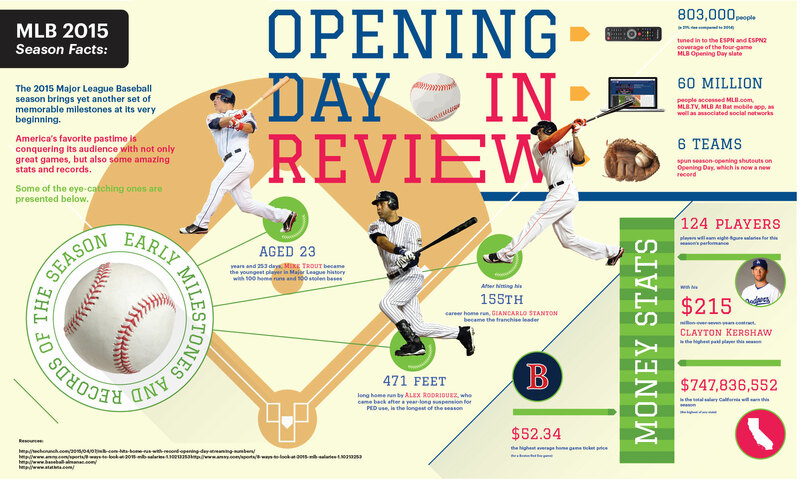 This week with our MLB Guide, we bring you our MLB 2015 Season Infographic! The 2015 season for MLB started on April 5, 2015, and in that time, we’ve seen some great games and some, not so great. If you missed out on some key moments, don’t fret – check out our infographic below! There, you’ll find an excellent visual representation of what is currently happening in the season, what has happened, some of the most memorable moments thus far and more! If you don’t want to miss another second of the action, Barry’s offers MLB tickets that will cater towards all budgets. Check them out here now. I’m still iffy on that 471ft homer from Alex Rodriguez even though he is “clean” now.